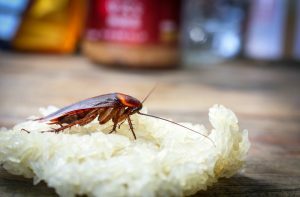 The owner of a restaurant in Dunstable has recently been fined more than £20,000 after a customer spotted a German cockroach in their pilau rice. Local Council Environmental Health officers visited the Indian restaurant in April 2017, after receiving a complaint from a customer. They found a serious infestation of cockroaches in the kitchen. Inspectors found a build-up of dirt, grease and food debris throughout the premises particularly under refrigeration units and in difficult to reach places. A Hygiene Emergency Prohibition Notice was served and the premises was closed with immediate effect due to the imminent health risk to the general public. The owner of the restaurant was taken to court & pleaded guilty to six food safety offences. The business was fined over £20000 including costs. Following a complaint of a cockroach spotted in rice, an unannounced visit was made by council officers on the following day. They discovered that inadequate procedures were in place to control pests, the place was dirty, and a there was little evidence of any food safety management. In addition, the owner had failed to notify the council of a change of ownership.